Welcome brothers and sisters in Christ. ARC ministers to those who serve families and we are honored to serve you as you serve the Lord. Our Christian programs are more than just scripture added in. They are written through the Christian lens with prayer and scripture in the forefront. Active Relationships Center is proud to serve Christian communities. Our faith-based programs have been used by Christian organizations and ministries across the globe, especially by the U.S. military chaplaincy. Christian ministries also utilize ARC Christian curricula in their outreach within correctional facilities including juvenile halls, federal and state institutions and immigration and customs facilities. 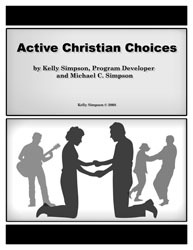 Active Relationships Center’s founder, Kelly Simpson and her brother, Mike Simpson, authored several Christian curricula together. They have selected scriptures to highlight, emphasize, and explain how the tools and techniques of ARC’s Christian programs can be used to develop and enhance relationships while keeping Christian beliefs as a central value. In conjunction with Ms. Simpson, the ARYA course books were co-authored by Amanda Weatherby and Ben Stimmel, both graduates of Fuller Theological Seminary. Ms. Weatherby holds a PhD in Clinical Psychology, and Mr. Stimmel has worked as a therapist for children and families at an urban community mental health center. The ARC team is diverse and comes from a variety of different backgrounds. We are happy to have a Youth Pastor, an Associate Pastor, and several graduates of theological seminaries supporting the work of ARC. We are proud to serve many organizations of the Christian community. Bringing an Active Relationships Master Trainer to your organization is easy! We offer a variety of different trainings, including retreats and professional certification trainings. Simply call ARC’s main office, tell us what training you are interested in having at your site and ask for a proposal. We are happy to offer a variety of different types of trainings, retreats, and a combination of both. *Scheduling multiple retreats or professional trainings may be eligible for discounted rates. Each person trained through the DVD series must complete and submit a certification essay to ARC within a prescribed time window. Upon receipt of the essays your staff submits, an ARC Master Trainer will contact you to schedule a coaching call for your team. Once this process is completed, ARC will send Facilitators their certificates of completion and they will be immediately eligible to purchase participant materials and begin presenting classes. Simply email us or call ARC’s main office at 877.724.7789 and let us know what training you are interested in having at your site and ask for a proposal. For youth to become well-adjusted adults, they need guidance and practice. Many youth fail to learn how to effectively and safely deal with challenging emotions including stress and anger. Christian A.R.Y.A. is designed to simplify life’s difficulties by providing effective tools and knowledge (based on and supported with scripture) to guide and reinforce important values and principles, while keeping faith central to their lives and guiding relationships. 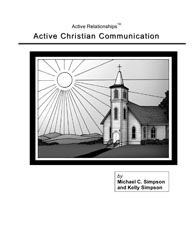 Active Christian Families is designed specifically for Christian families. This may include children (ages 3+), fathers, mothers, caregivers, or any combination! This program is a fun way to knit your family closer together. Play together, laugh together, and learn together! Our Christian youth program is a great opportunity to tackle important issues so that youth learn ways to control their anger, manage emotional triggers, and even help with conflict resolution. Christian A.R.Y.A. has optional opening prayers in each module and has supporting scripture that incorporates faith in the learning process. Learning these important tools and techniques will help young adults grow in their faith and enhance their ability to create and maintain healthy relationships. Teen pregnancy is a serious problem facing today’s youth. Our Christian programs teach abstinence and wise choices to help curb this growing problem. Life can be difficult, especially for teenagers. At that age, most people are struggling to learn how to take care of themselves – much less learning how to take care of a baby. Our Christian programs for youth and young adults will help teens to better understand life and how to have happy and safe relationships. Our programs can help those who are having issues at the workplace or at home, or those who are just looking to improve their quality of life and learn new life skills with tools and techniques to better manage their emotions. ARC’s programs teach how to view and react to situations in a less stressful, more productive way. Most of our programs equally useful for singles. ARC’s Christian programs offer evidence-based skills and Biblical principles that can help people sustain skills learned. Participants will learn about qualities to look for in a partner, and learn about other important tools and methods to develop or rejuvenate special relationships with friends and loved ones! The principles of Active Relationships’ Christian programs are of high relevance for fathers. Programs can enhance skills for managing their own emotions and developing great relationships with their children that promote respectful and joy. Our programs help families strengthen their faith and build strong bonds! When participating in ARC programs, mothers gain anger management skills, conflict resolution skills, learn how to manage emotional triggers and gain communication tools that inspire family connections. These important skills are based on Biblical principles. Keeping Christian beliefs at the forefront of their lives, mothers are motivated to be the best they can be for their children, and for themselves. Active Relationships Center’s Christian programs are for everyone who wants to improve their relationship with their children and learn life skills while keeping their faith central to guiding their lives and relationships. This includes mothers, fathers, grandparents, older brothers or sisters, uncles, aunts, or whoever is in the caregiver role! Anyone who is taking care of a child is welcome to take any of our courses. Often those who are incarcerated have not had the opportunity to learn valuable life skills, such as how to deal with their anger or how to safely resolve conflicts. By utilizing Active Relationships Center’s Christian curricula, incarcerated individuals will learn how to take responsibility for their actions, make better choices and see that they still have value despite any mistakes they may have made. By embracing the plan that God has for them, learning from their faith, and utilizing practical skills, those who are incarcerated will have the ability to make positive changes in their lives and be more successful in the future. 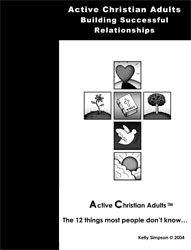 Active Christian Adults teaches skills for managing money, conflict resolution, and making wise choices when choosing a romantic partner. As participants learn new tools to help enhance and improve their relationships, they may also utilize prayers and scripture incorporated into the text to include God and their faith as they make positive changes in their life. Engaged couples can benefit from going through Active Christian Choices because it helps pinpoint typical areas of relationship conflict and trouble before couples get married. Marriage is a lifelong commitment. It is important that couples learn and practice the tools and methods needed to have healthy, long-lasting relationships. These tools and methods include respecting differences, controlling thoughts and moods, and learning God’s perspective on relationships through scripture. By learning about each other’s values and beliefs, couples may grow together through education and faith and prepare themselves to make the transition to husband and wife. Whether married for one year or fifty years, there is always room for growth and improvement in a relationship. 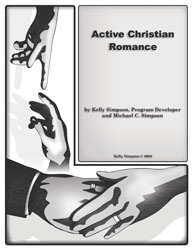 There are several programs, including Active Christian Communication and Active Christian Romance, that help couples grow closer together by teaching new tools, techniques and ways to stay close. By practicing these tools and keeping the Lord in their heart and at the center of their relationship, participants can strengthen their marriage! 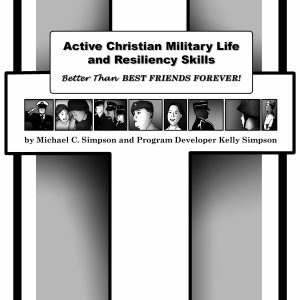 Active Relationships Center’s Christian Military program is for individuals seeking personal growth and skills to help with the many stresses of military life, while keeping their faith central to their hearts and minds. Participants will learn how to better manage themselves and control their thoughts so that they can be more resilient and prepared through their faith and newly learned tools and techniques. ARC understands that military couples face many challenges, including, but not limited to, PTSD, deployment, reintegration, and relocation. Any of these can put tremendous stress on relationships. Specifically designed for military communities, couples in this course can learn how to keep the love alive and work together as a team to overcome barriers they may encounter, especially focusing on faith and balance as the forefront of their relationship. It is important to remain cohesive as a family unit throughout deployments and other challenges. Leaning on faith can be key to remaining close. Coming Soon: The Active Christian Families program uses scripture and a Christian perspective to explain the ways in which families can improve their connections. Active Christian Families helps military families to better recognize and control their own actions. Conflict resolution, managing emotional triggers, and much more are all parts of the Active Christian Families course.